Enjoy the best inspirational, motivational, positive, funny and famous quotes by April Haney. Use words and picture quotations to push forward and inspire you keep going in life! Love is not selfish or unkind. Nor is it boastful or disloyal. 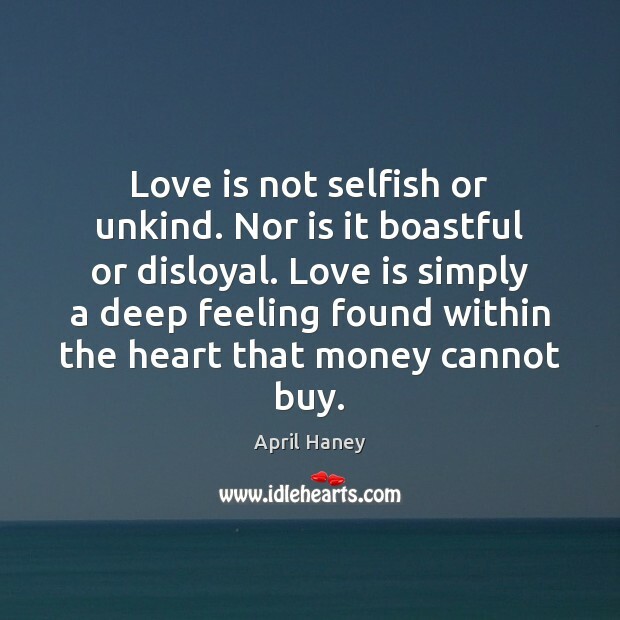 Love is simply a deep feeling found within the heart that money cannot buy.